"Excellent service, excellent goods, excellent price - cannot recommend more highly. Asked two companies for quoted and BellaVista won hands down. 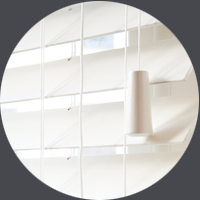 Professional response and fantastic blinds"
"Friendly and efficient. Couldn't fault the service or the fitting. Would highly recommend them"
"From start to finish everyone we dealt with there were knowledgeable, friendly and professional"
"We have used BellaVista a couple of times now and have been very happy on both occasions. I would highly recommend them!" "Fantastic advice on style and design of the shutters, kept us up to date through the order/ delivery process and couldn't have taken more care over the fitting of the shutters"
"On delivery the fitters worked very efficiently installing the shutters, cleaned everything before they left and removed all the packaging from the house"
"We received the quote the next day which was great and competitive"
"Thrilled with my new Plantation Shutters. Great service from start to finish. Excellently quality product"
"The fitter was really thorough and professional. 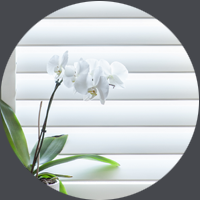 His attention to detail was superb"
"Absolutely beautiful Shutters, expert consultation and professionally fitted"
"Very efficient. Used them twice very happy with whole experience. All staff polite efficient and not too intrusive cleaned up afterwards with own vacuum!" "It was refreshing to come a across a company that provides genuine customer care and a first rate service"
"This is the third time we have used BellaVista and each time we are suitably impressed"
"I recently had my Blinds done, and they were very nicely finished and the chap was very nice and did a great job, kept it very clean"
"From the initial measuring, to the final fitting, and all the stages in between, everything was done on time"
"When the owner of the company comes to quote - you know you are in good hands. Brilliant service and great quality"